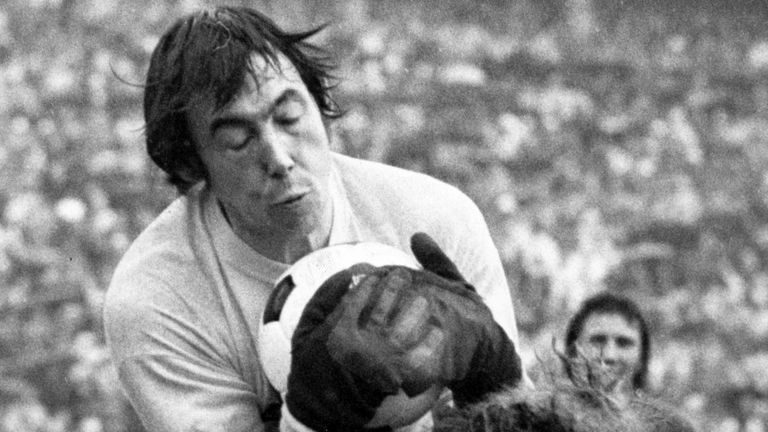 Gordon Banks was due to be knighted but a government administration error caused a delay thatwas not corrected before his death, Sky Sports News has learned. The former England, Stoke, Leicester and Chesterfield goalkeeper, who died at the age of 81 on Monday night, was made an Officer of the Order of the British Empire (OBE) in 1970. Knighthoods, however, cannot be awarded posthumously. Banks' former Stoke team-mates, with whom he won the League Cup in 1972, led the campaign to see him recognised, putting in an application more than two years ago, but the paperwork was lost by officers at the Main Honours Committee. Banks' friend and former team-mate Terry Conroy told Sky Sports News: "We were confident that in the New Year's honours list, he would have received a knighthood, but we were totally unaware until recently that there'd been a mistake with the government. "We only got news at the weekend that they were looking into a new nomination with a view to consider the knighthood for the Queen's birthday in June/July. Sadly Gordon died 48 hours later." A Cabinet Office spokesperson said: "The honours nomination process is confidential and each nomination received is carefully considered." Stoke are reluctant to get involved in the row but a spokesperson for the club said: "Even if he had been given the honour, it couldn't have raised him any higher in the estimation of everyone at the club; among our fans and the wider community." Because of the expected interest from people wanting to attend his funeral, it is likely to be held at Stoke Minster, but no plans have yet been finalised and the ceremony will not happen for at least a fortnight.